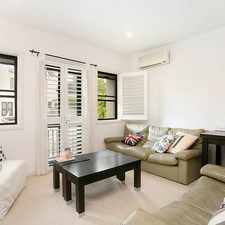 23 Kentville Avenue is a three minute walk from the L1 Dulwich Hill Line at the Rozelle Bay Light Rail stop. This apartment is in the Annandale neighborhood in Sydney. Nearby parks include Federal Park, Easton Park and Jubilee Park. 23 Kentville Avenue has a Walk Score of 71 out of 100. This location is Very Walkable so most errands can be accomplished on foot. Generously proportioned freestanding refurbished home set over two light filled levels with attractive traditional features throughout. Designer interiors and classic features give this home immense appeal. 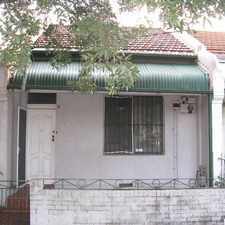 Located just moments to Annandale Village, Light Rail, schools, parks and the CBD. Accommodation consists of a seperate formal lounge room with a feature timber fireplace. Modern galley kitchen with stone bench tops, gas stainless steel appliances and dishwasher. Formal dining flowing out to entertainers courtyard. Three double bedrooms, all with built-ins. Retreat style master bedroom on upper level with modern ensuite with double shower, walk-in robe, study nook and balcony with stunning City and district views. Modern main bathroom with spa bath. Internal laundry room. Rear lane access to single carspace. Features include ducted air conditioning throughout, gas bayonet in lounge room, security video intercom system, high ornate ceilings and polished timber floorboards. Explore how far you can travel by car, bus, bike and foot from 23 Kentville Avenue. 23 Kentville Avenue has excellent transit which means transit is convenient for most trips. View all Annandale apartments on a map. 23 Kentville Avenue is in the Annandale neighborhood. Annandale is the 67th most walkable neighborhood in Sydney with a neighborhood Walk Score of 83. Deposit taken - NEAT AND TIDY STUDIO! DEPOSIT TAKEN, INSPECTIONS CANCELLED!! 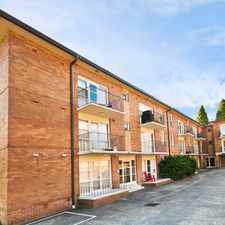 Sun filled and ideally located 2 bedroom with Parking! DEPOSIT TAKEN at First Inspection - Call Arefin Shamsul 0451 670 600 for the similar result! 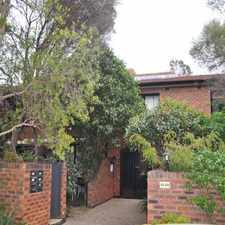 Furnished studio in unbeatable location - Cremorne village at your doorstep! "A MUST SEE PROPERTY - Perfectly Balanced With Classic Character &amp; Contemporary Appeal"
HEART &amp; SOUL OF BONDI BEACH!